The third in New Holland’s Dragon’s Milk Reserve line for 2018 is Banana and Coconut. I have to admit I was a little skeptical when I heard that banana was involved. Much like my opinion on coconut, bananas can be good when done right, but there’s a fine line between being good and too much, which will almost always put you squarely into “yuck” territory for me. 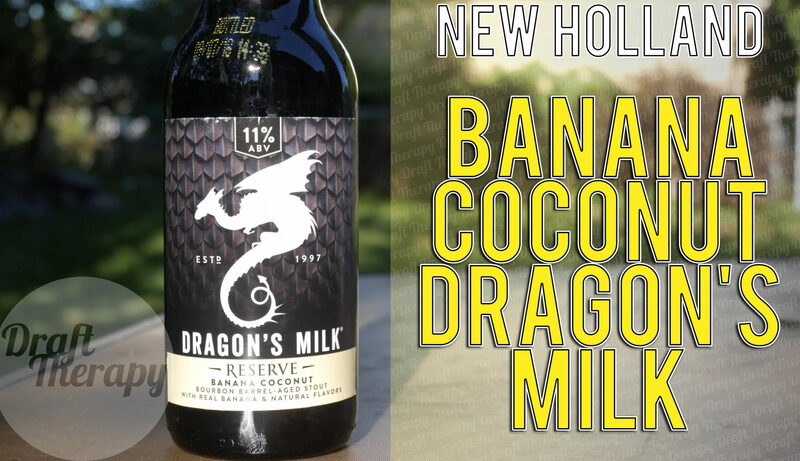 Well today I’ll be taking a look at Banana Coconut Dragon’s Milk Reserve, which is New Holland’s premiere bourbon barrel aged stout. With a much classier new label design, does the beer inside match the facelift that was provided on the outside? Watch and find out more! Coming to you from the Southwest side of the state, it’s my first taste of Coconut Porter from Paw Paw brewing (aka 2 Paws) in Paw Paw Michigan. 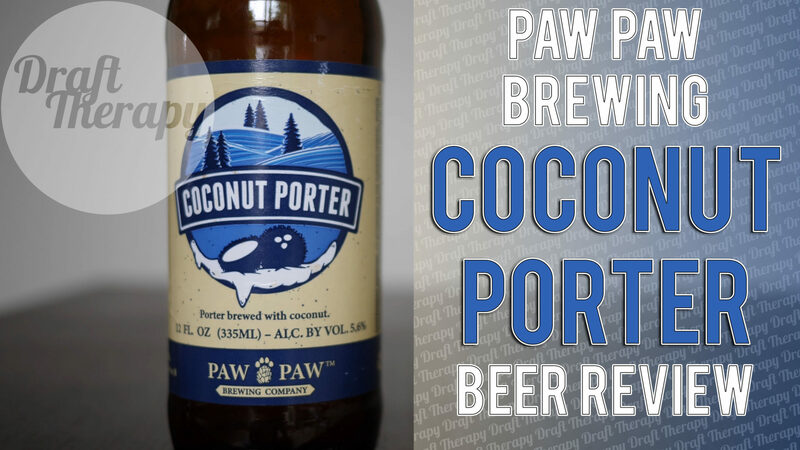 I’m a fan of porters, and I enjoy coconut porters – which are difficult to do the right way. Is this going to tickle my fancy or get my ire instead? Stay tuned to find out for sure! 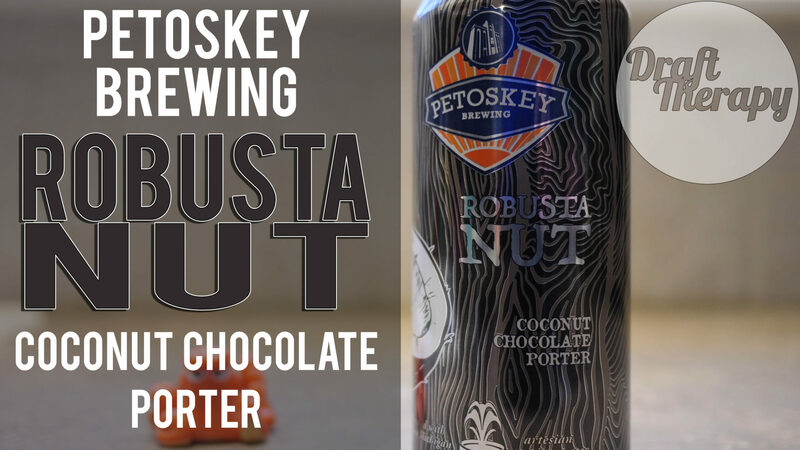 Petoskey Brewing’s Robusta Nut is a Coconut Chocolate Porter that weighs in at 5.5%, which is fairly typical for a porter – where it attempts to stand out is by not only having flavors of coconut, but chocolate too. There are plenty of coconut porters on the market – and a lot of good ones here in Michigan, but I don’t know too many that attempt to weave chocolate into their flavor profile as well. How does it all hash out in the end? Stay tuned to find out!